One man may have robbed the same store twice. Islandia, NY - March 20, 2014 - Suffolk County Crime Stoppers and Suffolk County Police Fourth Precinct Crime Section officers are seeking the public’s help to identify and locate the man who stole merchandise from an Islandia store this month. A man entered the AT&T store, located at 1758 Veterans Memorial Highway on or about March 3, 2014 at approximately 3:50 p.m. The suspect removed a white Samsung Galaxy Mega cell phone with a value of $479.00 from a display and fled the store in an unknown direction. The man is described as a white male, approximately 6 feet tall, with a medium build, and a black or brown crew cut. 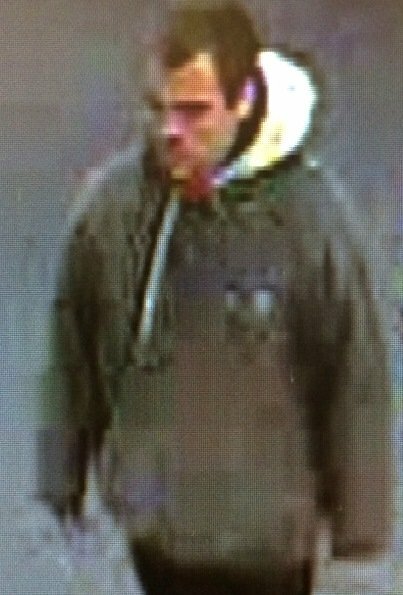 He was wearing a gray jacket over a white hooded sweatshirt, black pants and brown sneakers. The suspect fits the description of a man who stole merchandise from the same store on February 3, 2014. Are you Looking for Accountants in London? Subject: LongIsland.com - Your Name sent you Article details of "SCPD Looking for Larcenist in Islandia"